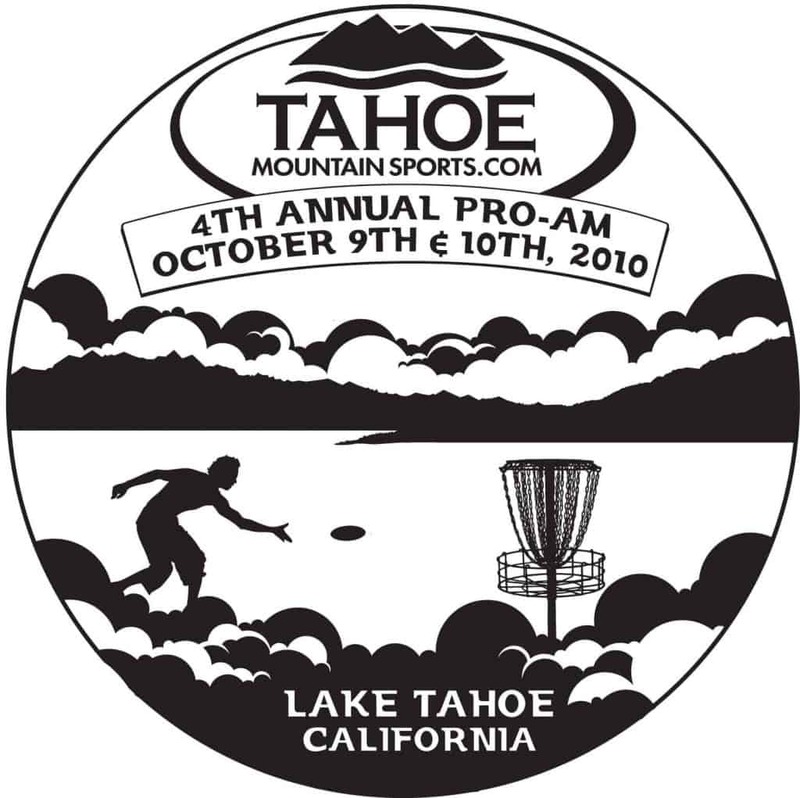 We are getting pumped for the Tahoe Mountain Sports 4th Annual Pro/Am Disc Golf Tournament next weekend, October 9 and 10! We’ve got sponsors dialed in, preregistration in full swing, player t-shirts being printed and free lunch and beer ready to tap. Weather is still amazing here, with record high temps for this time of year, so we hope you’re planning to join us for some friendly competition. Our Pro winners will receive cash, and amateur division winners will see prizes like Vibram discs, NutSac Disc Golf Bags, Keen brand shoes and gift certificates to use at our Kings Beach shop and on TahoeMountainSports.com. North Tahoe Regional Park: The home to our annual Pro/Am Disc Golf Tournament, this 18-hole track features killer lake views and heavily wooded holes that require accuracy. It’s right by our shop, to boot, in case you need to re-up on some disc golf gear. 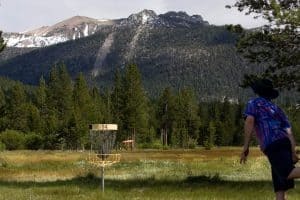 Squaw Valley USA: This newcomer to Lake Tahoe disc golf opened its mountain-top, granite-heavy course this summer, and boasts a unique signature hole that takes you 1,080 feet downhill to a par 4, “island in the sky” basket. Summer-only operations to make way for Squaw’s stellar winter skiing, so call before you head out. 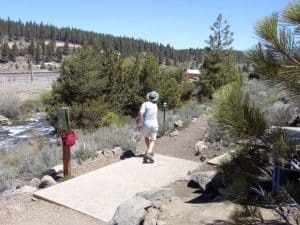 Truckee Regional Park: This course hugs the bank of the Truckee River near downtown Truckee. Great access makes it popular, meaning heavy traffic, but there’s less underbrush and more open tree spacing so its volume of users flow through faster not having to hunt for their discs as long. 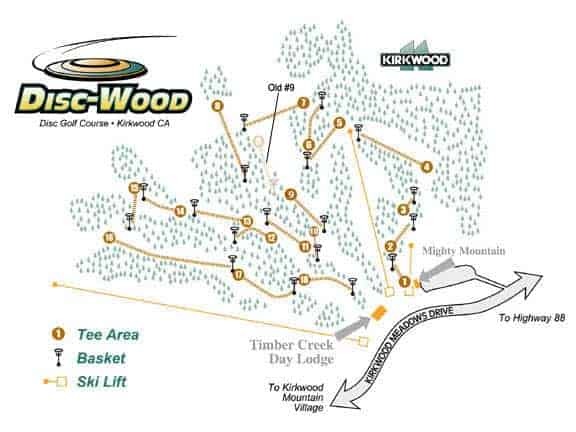 Kirkwood Mountain Resort: Get out of town a bit to enjoy this challenging and aesthetic mountain course, all 18 holes of which are at over 8,000 feet in elevation. Another summer-only track, you’ll want to have your chance at play here before the snow settles in. 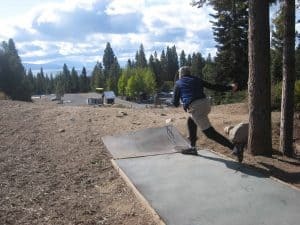 Bijou Park: The oldest course at Lake Tahoe, South Lake Tahoe’s Bijou is a local favorite offering a full 27 holes and something for everyone. The first 9 holes are perfect for beginners, with the final 9 challenging your distance driver. Zephyr Cove: Views, views, views. This East Shore beauty has some serious eye candy. It plays relatively short, with the front 9 taking you up significant elevation gains, and the back 9 bringing you down. 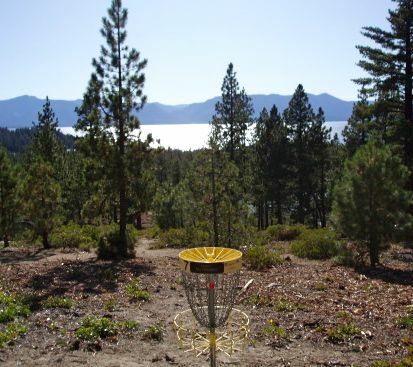 Visit our Lake Tahoe Disc Golf Guide for more information, and be sure to check out the details on and register for our Tahoe Mountain Sports 4th Annual Pro/Am Disc Golf Tournament on October 9 and 10, 2010. See ya soon! Previous PostMagic Wood: Bouldering in Ausserferrera, Switzerland Next PostHey Man, Are You Going to Burning Lamb? 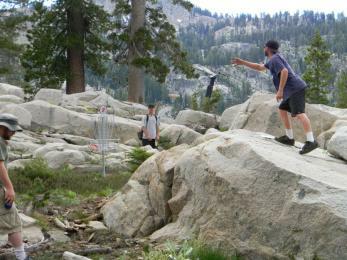 Tahoe Mountain Sports 5th Annual Pro/Am Disc Golf Tournament a Huge Success!